KCU is distinctive among osteopathic medical schools in its unwavering commitment to service and community. 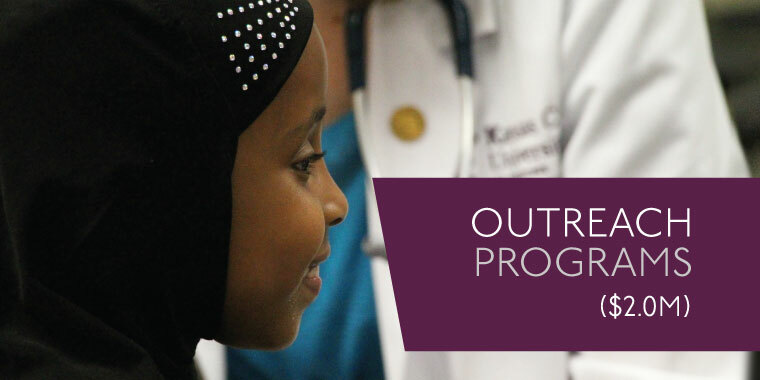 Two primary programs both support our efforts to create community-minded osteopathic physicians, and exemplify the impact KCU can have on our communities when we live our mission. They also solidify the impact we have on provision of health care in Kansas City. Score 1 is a preventive health program that focuses on children in areas of greatest need, including urban core, underprivileged and low-income families. Our Medical Missions help our students provide much-needed health care to indigent and isolated people in remote areas around the world.